An East Bay school already reeling from a case of cyberbullying, which stemmed from students sharing racist memes, is back in hot water with the discovery of inappopriate pictures of students on Instagram. Chuck Coppola reports. An East Bay school already reeling from a case of cyberbullying, which stemmed from students sharing racist memes, is back in hot water with the discovery of inappropriate pictures of students on Instagram. 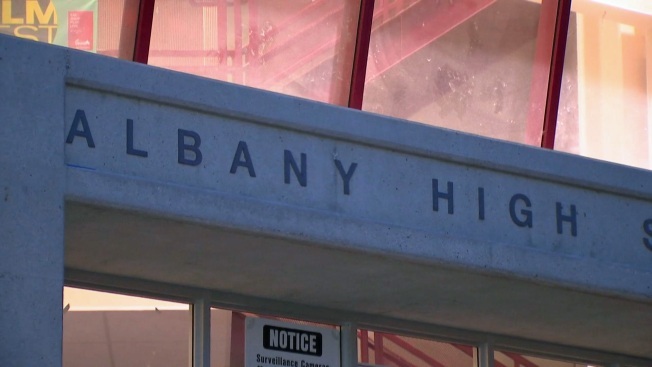 Albany High School Interim Principal Ron Rosenbaum on Thursday sent an email to the campus community about the Instagram account that featured "sexually explicit" photographs of school-goers, the East Bay Times reported. The account was brought to school administrators' attention on Wednesday. According to Rosenbaum, school leaders have already informed the Albany Police Department and have met with a detective. An investigation is ongoing, he wrote. "Our counseling department and our mental health team have also been meeting with and providing support to the students who were impacted by this account," Rosenbaum's letter said. Rosenbaum also encouraged parents to "take some time to have conversations with your children about the safe use of social media." Students with information about the case are also urged to contact him. Albany Police Lt. John Geissberger confirmed to the East Bay Times that detectives are looking into the incident. In March, Albany High School was rocked by racially insensitive images posted on Instagram. Students informed school officials of pictures that singled out 11 students — 10 of whom belonged to minority groups. The memes also targeted the girl’s basketball team’s African-American coach. The memes, reportedly posted by three students and liked by three others, included pictures of minority students next to nooses. Other images showed students next to apes, officials said. The incident triggered protests and sit-ins, and demands for expulsions. Police say there is no indication that the two scandals are connected.